Your body is a temple. People who come to the temple can belong to different confessions. Yet, they go to the temple to feel connected to the wholeness. Indeed, we are connected to the wholeness, but the actual rhythm of life does not favor to listening to yourself and feeling the interconnectedness. “Beyond the food” is a documentary that goes in deep of nutrition habits of human beings, regarding them as an integral part of the food chain and ecosystem. Our health is influenced by the quality of products we eat. We are what we eat. The quality of these products depends on the way we produce them, whether we consider Nature as an important factor in this process or no. “Beyond food” explains why we should be heading for the wild food. It does not mean coming back to the primitive state and eat only raw food, absolutely not! We should raise wild food. How can it be achieved? Animals who are raised in freedom can make their food choices. Animal’s food choices are natural. They would not eat something that is bad for them. They are intuitive in what is good for them. In such a way, what is produced by animals who are raised in freedom is more natural because it is connected to the whole ecosystem. Healthy food has recently been transformed into a lifestyle. Yet, healthy eating is about feeling yourself, being observational rather than blind following the established fashion. People intuitively know what they need to eat to have enough energy to reach their life goals. One of the movie’s messages is about sensitivity. It encourages people to comprehend how do they feel when they eat a certain food. 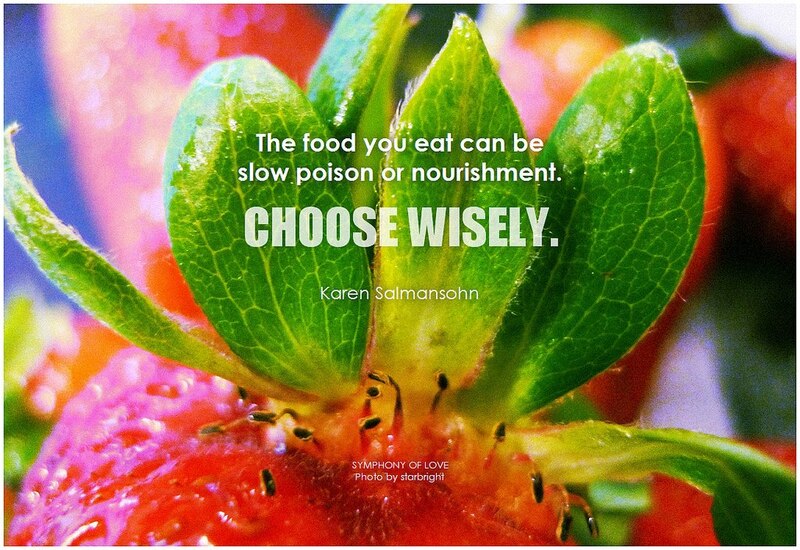 Within you, there is an ability to discern what food is good and what food is not. It is about how do you tune in to nature, both outer and inner. It is important to be connected to nature. This connectedness used to be directly associated to survival. If we lose it, we would face degenerate diseases. Empty and unhealthy food which is tied to unhealthy land leads to multigenerational effects. Recently we have totally disconnected from nature and ourselves. We have lost dynamics in our life. “Beyond food” is not a movie that propagates being vegan, vegetarian or raw foodist. The documentary has gathered opinions and facts of biologists, athletes, neurochemists, physicists, nutritionists and other specialists in order to help you make your own conclusions. One of the techniques, described in the documentary is biohacking. Biohacking is the way of understanding and controlling the nervous system to lower your stress levels while upgrading your energy, mental focus, and overall biology. One of the most effective ways to think about biohacking is that we are creating biofeedback loops. We are allowing the brain to talk to us. What the scientists are trying to do with biohacking is that they are trying to understand the molecular processes of our own biology and make ourselves better. The core of biohacking is how do we turn off the biosystem stress that is not serving us, how do we actually go out there and thrive. We are allowing the brain to talk to us. We are allowing the heart to talk to us. So, as we see the change within ourselves we start to get connected to something that matters. We embrace togetherness. Just like in the evolutionary process, we went from individual cells who came together to become organisms that are interconnected with each other and are something bigger than themselves but can exist individually. Let’s see what is our potential together.